Seasons are changing and the weather is getting cooler, which means it’s time for all things pumpkin. While I don’t care for pumpkin flavored things, I certainly do love a good pumpkin decoration or pumpkin-themed learning activity. 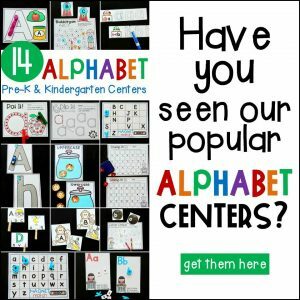 Knowing and understanding the order of numbers is vital for developing future mathematical concepts in early learners, and this number order activity will help students practice number order and number identification in a fun, hands on way. *Pair this with our Pumpkin Centers for more Easy-Prep Fun! 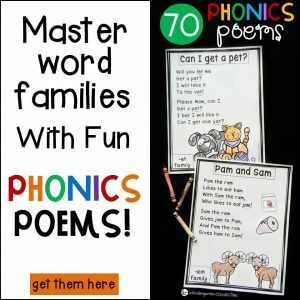 This activity is perfect for Preschool and Kindergarten and the prep for this free activity is simple. 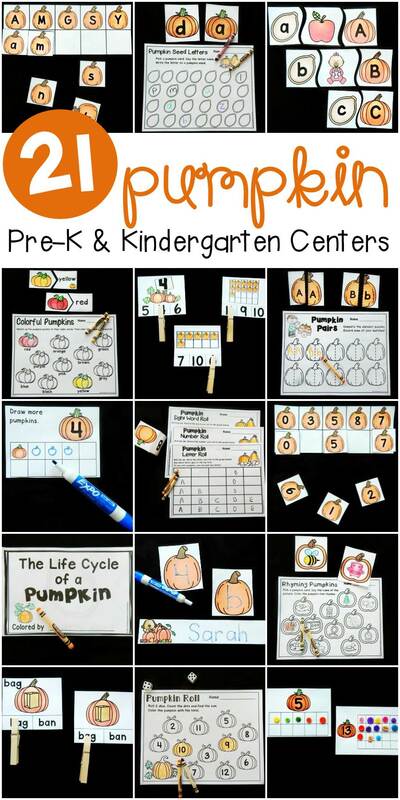 First, print out the pumpkin cards and recording sheet(s) that you would like to use for your group of students. I like to print the cards on cardstock for durability and then laminate them for continued use. Cut out the pumpkins and put them in a pile. INK SAVING TIP: If you would like to use a recording sheet, you can print these out and give one to each child or slide them in a dry erase pocket and give them a dry erase marker to complete. This will cut down on copies and make the recording sheet reusable. Chose the number cards you would like students to work with. If providing all 21 cards is overwhelming for your group or your group hasn’t learned all the numbers yet, choose only the set of numbers that will allow your group to be successful. 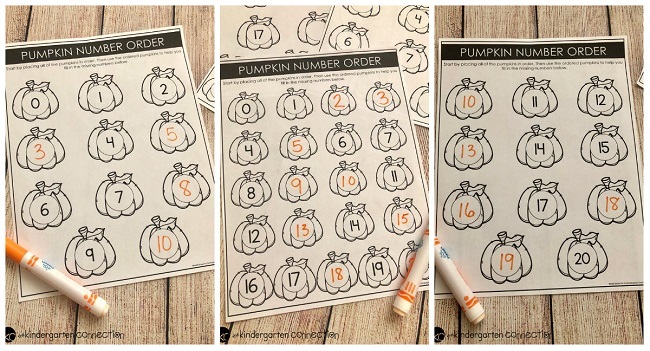 Students will begin laying out the the pumpkin cards in order starting with 0 and continuing on until they reach the last number in their set. 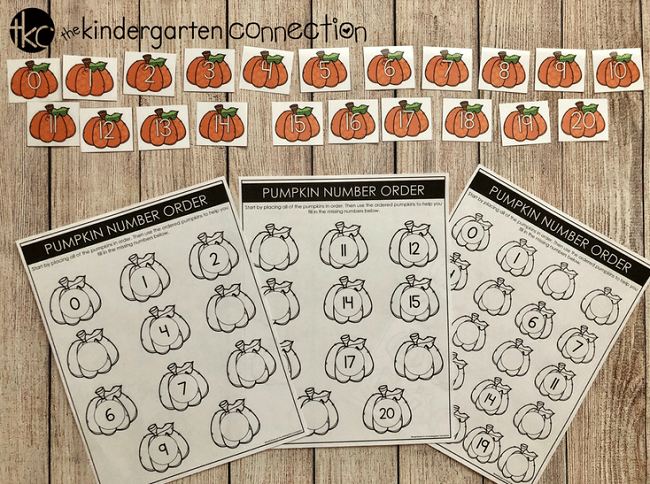 When they have laid out all their pumpkin number cards, students can then fill in the missing numbers on their recording sheet, using the pumpkin number line for help if needed. 3 different recording sheets are included: 0-10, 11-20, and 0-20. 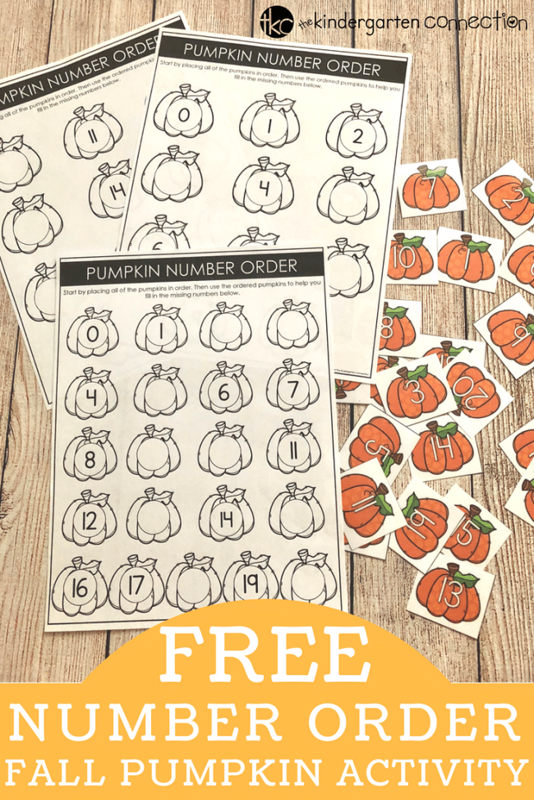 Print two sets of pumpkin number cards, one set for the activity above and another set to hang in different places around the room. Complete the activity as described above and then go around the room looking for each of the numbers in order from 0-20. Color in the pumpkin on the recording sheet when you find the number. 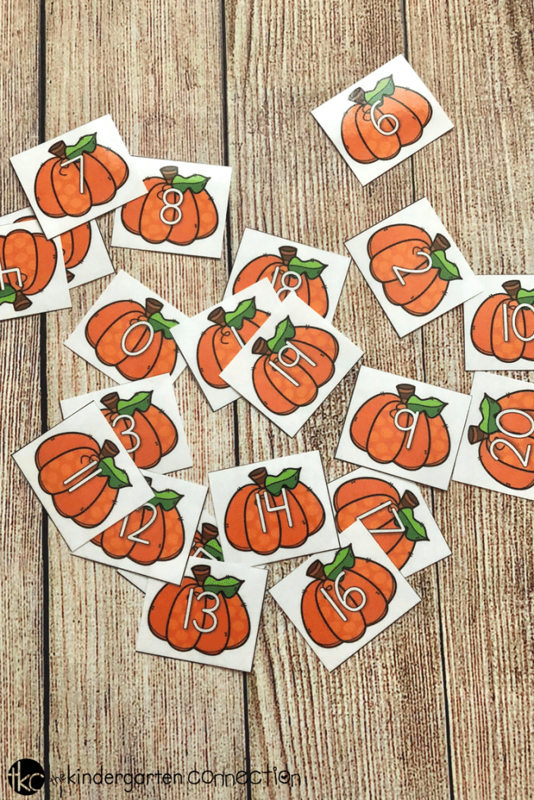 Print two sets of the pumpkin number cards on cardstock and use them to play a matching game. Take turns flipping over two cards to see if they match. Ready for some number order fun? 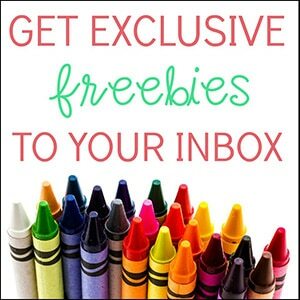 You can grab this free activity by clicking the yellow button below. 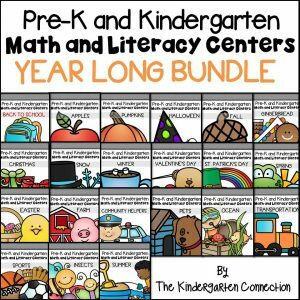 Then, hop over and grab our Pumpkin Math and Literacy Centers!